If you're like us, you've almost certainly got a fitness tracker strapped to your wrist. In fact, there's a good chance said activity-minded wearable is of the Fitbit variety. If so, you might be in for a treat as the firm has just rolled out a new update for its app that adds a whole new set of tough but quirky challenges. Called Fitbit Adventures, the new update aims to give you a new virtual way to achieve (or maintain) your ideal fitness level by creating solo or multi-day challenges. 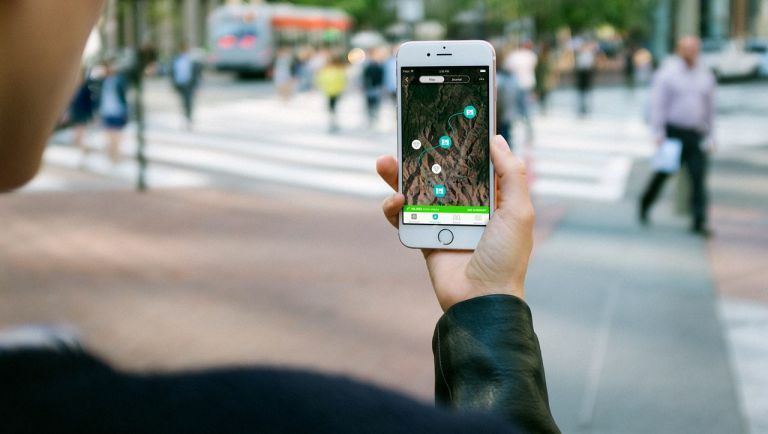 For instance, rather than just having your daily steps accumulate as a basic figure, why not use them to walk a trail around a famous landmark such as Yosemite Park? By plotting you progress around a virtual trail, these Daily Destinations will unlock pretty 180-degree views of each destination using real photography. With plenty of locations currently available, each panorama is well worth unlocking. Oh and they were taken by reknowned photography Chris Burkard. Talking of unlocking, Fitbit Adventures also has special items to find. These Treasures include fun facts about the area you're virtually trailing, photos and new challenges to complete. It's not quite RPG-lite, but it is a fun way to turn those boring treadmill sessions into a fun and interesting prospect. Fancy running a famous marathon, without having to actually sign up? You can do that to by virtually taking on the New York Marathon. The update is live now so log in and start your very own Fitbit Adventure today.